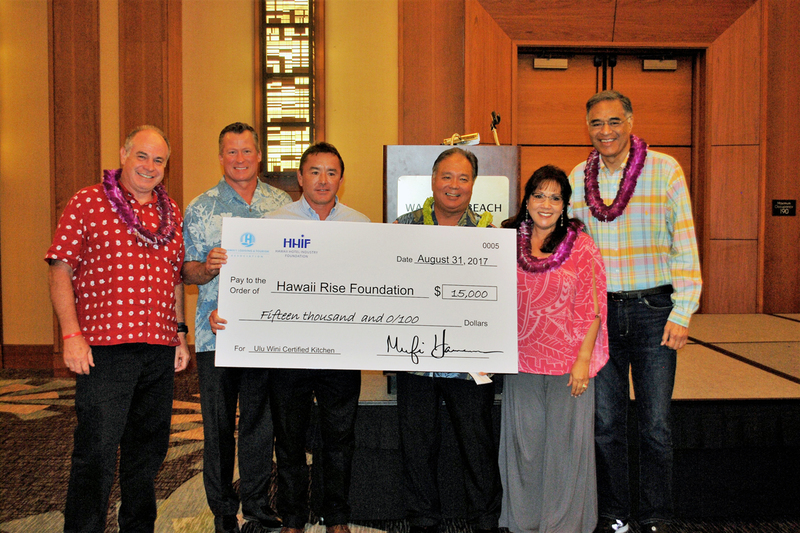 Hawaii Rise Foundation Check (L-R): Hawai‘i County Prosecutor Mitch Roth, HLTA Chairperson Scott Ingwers, Hawai‘i Rise Foundation President Mike Sohriakoff, Hawai‘i County Managing Director Will Okabe, County Council Chair Valerie Pointdexter, HLTA President & CEO Mufi Hannemann. Photo courtesy of HLTA. 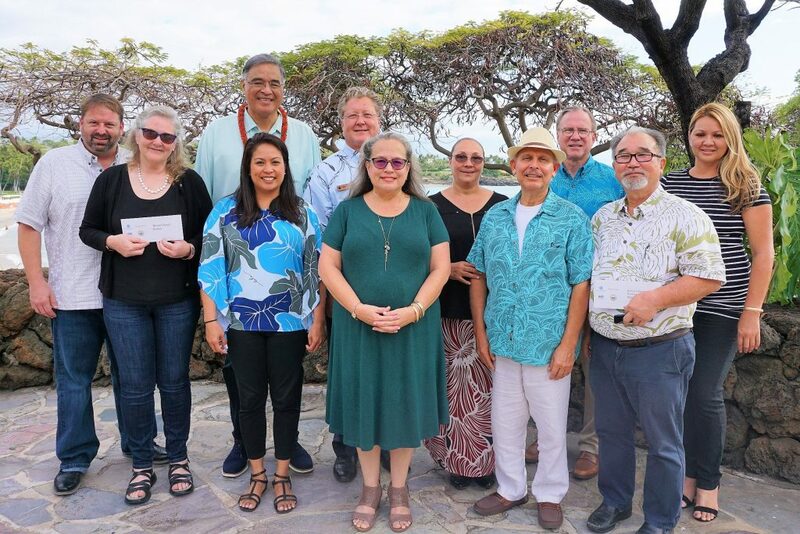 The Hawai‘i Lodging & Tourism Association (HLTA) in partnership with the Institute for Human Services (IHS) and the County of Hawaiʻi has awarded grants totalling $35,000 to two nonprofit agencies serving the homeless on Hawaiʻi Island. HOPE Services of Hawaiʻi Island and Hawaiʻi Rise Foundation were each presented with awards of $20,000 and $15,000 respectively, during a reception on August 31 at the Waikoloa Beach Marriott Resort & Spa. “HLTA is a statewide organization, and while we are headquartered in O‘ahu, we have a chapter in each county and support each island, whether it be through our annual Charity Walk, or special presentations like today,” said HLTA President and CEO Mufi Hannemann during the reception. 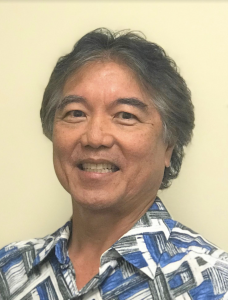 HOPE Services Hawaiʻi Inc. will receive the $20,000 award through a matching grant from HLTA and IHS to help fund their transitional housing program. 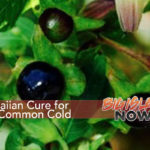 The Hawaiʻi Rise Foundation will receive $15,000 from HLTA through the recommendation of Hawaiʻi County Mayor Harry Kim. 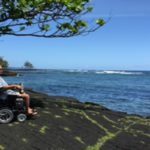 The funds will be used for a certified kitchen at Na Kahua Hale O Ulu Wini, also known as Ulu Wini, a low-income housing project built by the County of Hawai‘i in 2011 in Kona. The grant awards were presented in conjunction with HLTA Hawaiʻi Chapter’s Charity Walk grant allocation ceremony. During the event, $276,000 was dispersed between 60 Hawaiʻi County nonprofit organizations. The Charity Walk is an annual statewide fundraiser put on by HLTA and the visitor industry to raise funds for various nonprofit agencies. The 2017 Charity Walk raised $2.27 million for over 360 charities statewide.